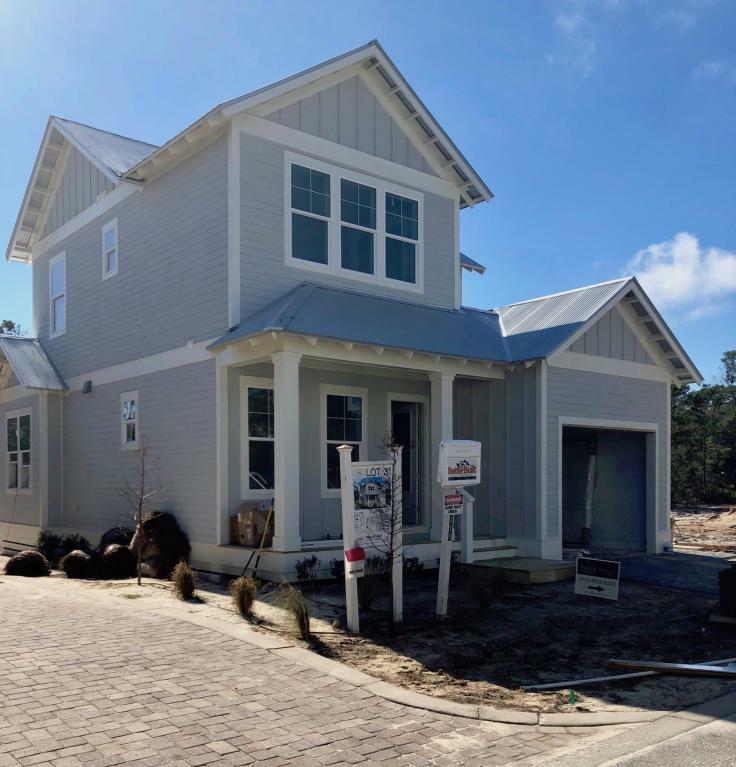 The new Tupelo floor plan at The Village at Grayton Beach is a charming, coastal cottage with a perfect layout for a beach getaway. The mud room and foyer at the front of the home lead into the open-concept kitchen, dining and living room with plenty of natural light and functional living space. The second story of this home features a multi-purpose loft space plus an upgraded secondary half bathroom.A few of the desirable features include wood shaker soft-close cabinets,granite countertops, tile and durable laminate flooring, cultured stone freestanding bathtub, first floor master suite, and an upstairs loft. Built to withstand the elements, energy and safety features include Jeld-Wen impact-hurricane resistant windows, 2 x 6 exterior framing, 2-10 home buyers warranty,and more!